New from HB Racing are these pre-mounted wheels and tires for 1:8 buggies. They’re available in 6 different tread patterns and the famous HB Pink Compound (SuperSoft), Red Compound (Soft) and White Compound (Medium) so racers can choose the right amount of traction for the track surface and ambient temperature. The tires are mounted on HB Racing V2 wheels in white or yellow, and HB Racing black closed cell inserts are standard equipment. Careful attention is focused on the mounting process for a strong and long lasting glue seal. These are the easy way to bolt on a fresh set of tires, just open the package and you’re ready to go racing. HB Beams tires work well on outdoor and indoor tracks that are clean with no dust. The angled tread line and reinforced full-circle side lug give precise side grip in the turns, while the mini-block treads provide reliable forward traction and braking consistency. They’re mounted on Version 2 of the HB 1/8 Buggy Dish Wheels that are 20% lighter than the original version, and HB Racing black closed cell inserts are pre-installed. 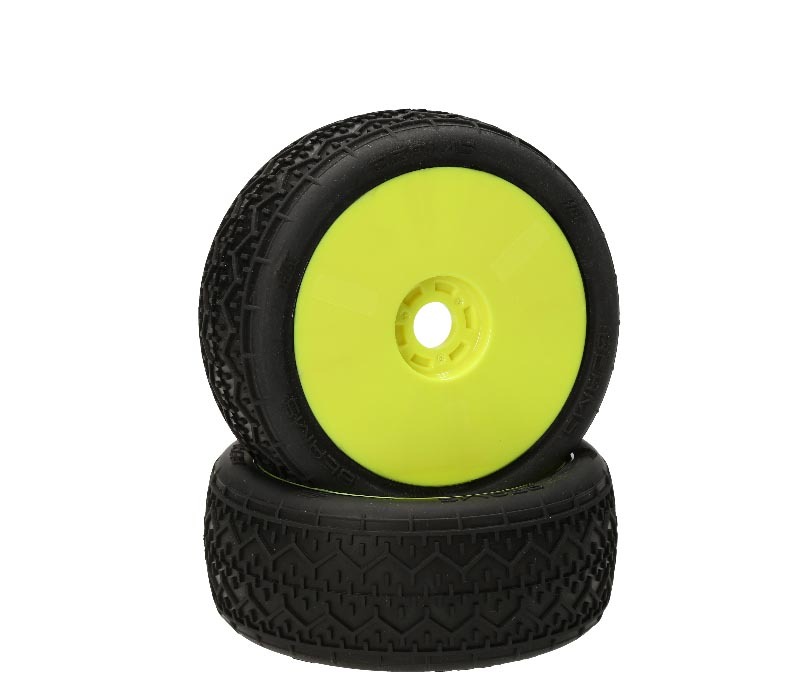 These mounted wheels and tires are sold in pairs.